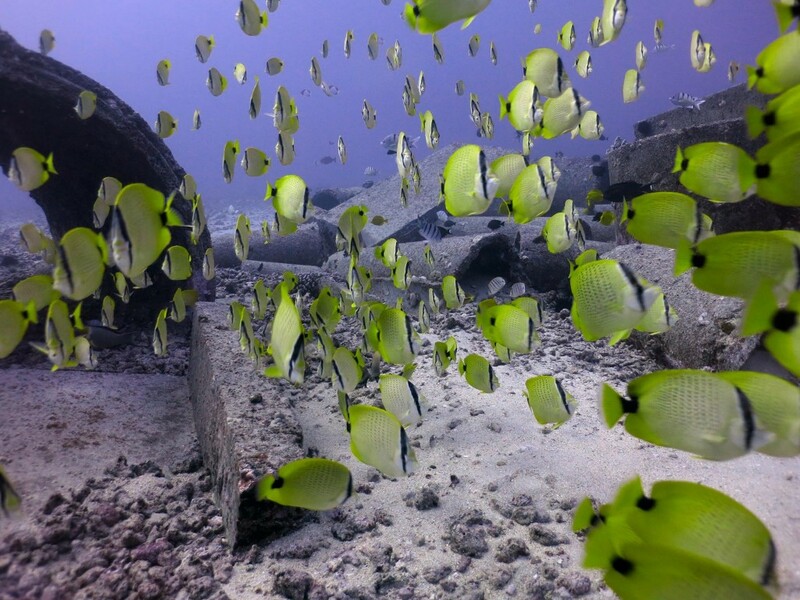 Schooling Millet Butterflyfish cruise inside an underwater channel in search of their next meal. 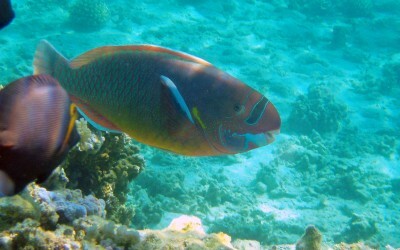 Schools of reef fish like this can be found all over the islands, which still have rich coral reefs and are filled with life. 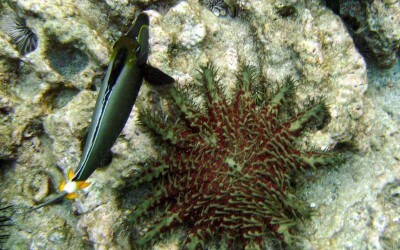 Butterflyfish are known to school together by species like this. Throughout the day they will search their favorite hunting grounds for food. Once a meal is in sight resident fish have little recourse but to get out of the way or try to fight off the entire school to protect their own food source. As the fish move from spot to spot, they follow a sort of underwater highway system that looks like rush hour on the freeway. 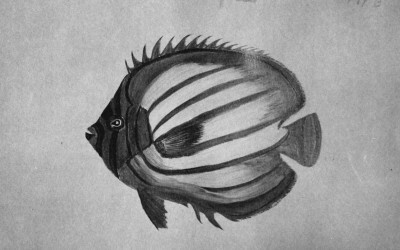 You can learn more about the Millet Butterflyfish on Wikipedia.